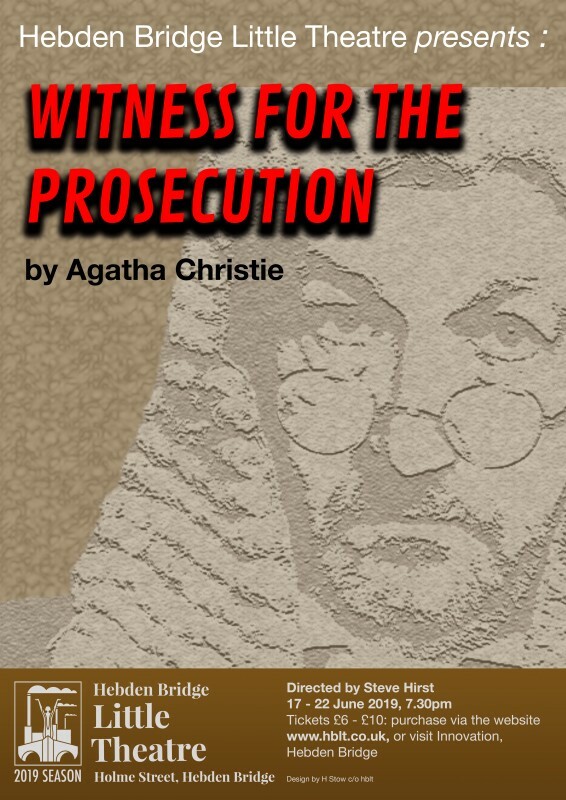 The next read-through will be for our June play, Witness for the Prosecution, adapted from an Agatha Christie short story, on Monday 18 March at 7.30pm, at the theatre. Director, Steve Hirst, says the play has a large cast, and men and women of all ages are needed. There are also some non-speaking parts for anyone who would like to be in a play but doesn’t want to have to remember lines. Please note the change of date from that originally publicised. New membership is the lifeblood of any theatre, which is why Hebden Bridge Little Theatre holds OPEN CASTINGS at the read-throughs for all of our plays. Read-throughs are a great way of getting to know the theatre. They’re fun and informal, because we know it can take a lot of nerve to join a new group of people. It’s also a great way of dipping your toe in the water, and try out a bit of acting to see if you enjoy it. Maybe you want to work back stage or front-of-house, but whatever the reason, it’s how most of our members started. So why not drop in and give it a try? And if you’re an old hand, why not get back into the habit? Simply come to the theatre on the date above, pick up a Membership Application form at the theatre, or email our Membership Secretary, Trizia Wells, at trizia@trizia.co.uk, enclosing your name, address and telephone number. We’d like to see you!